Forrás: Daily Mail. Szerző: Stephanie Linning. 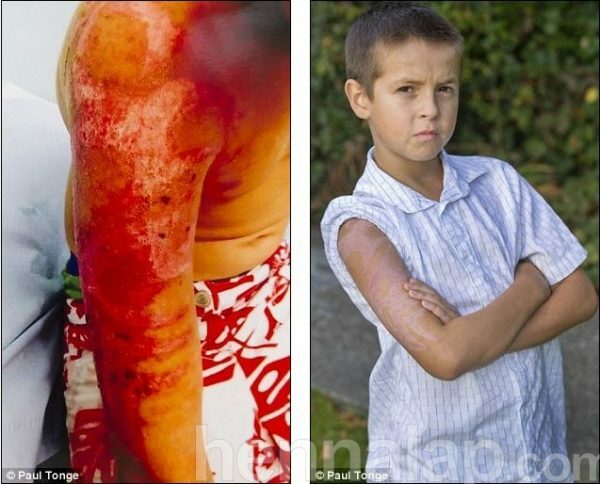 A boy could be left scarred for life after a temporary tattoo blistered his skin and sent him into toxic shock. Alfie Abbott had the Henna tattoo bought for him as a birthday present while on an all-inclusive holiday with his family in Turkey last month. But once home in Nottingham, the 11-year-old started complaining that the design was really itchy and a painful rash broke out all over his body. His concerned mother took him to the burns unit at the city’s Queen’s Medical Centre hospital, where doctors said the schoolboy had gone into toxic shock. The £40 tribal design, which was applied at the five-star hotel’s tattoo parlour, has left Alfie with visible scarring on his upper-right arm that could be permanent. The schoolboy has been in and out of hospital since getting the tattoo on 12 September to receive treatment for the scar, which his mother said ‘won’t stop weeping’. His mother Louise today criticised the Eftalia Splash Resort in Konakli, where she was staying with Alfie and daughters Kacey and Elle, saying ‘He has been in agony’. She told the Sun: ‘Doctors said he went into toxic shock and his arm won’t stop weeping and the burns have left the tattoo blistered into his arm. ‘It’s disgusting, you’d think they would do checks on what goes on in hotels they are sending people to. 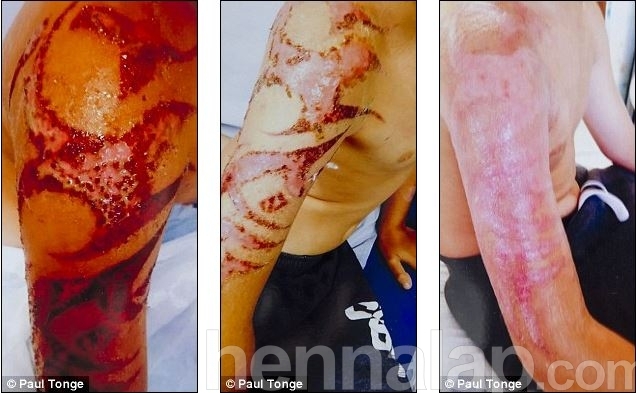 Earlier this year, two schoolboy brothers were left scarred for life after dodgy Henna left permanent scars on their backs. Liam, 16, and Owen Groves, 14, pestered their mother to allow them to have henna body art while on an all-inclusive holiday in Egypt. But instead of natural henna the tattoo artist, who worked in the resort where they were staying, used super-strength black henna. The brothers now can’t take their tops off in the sun as doctors warned to avoid direct sunlight on the area. 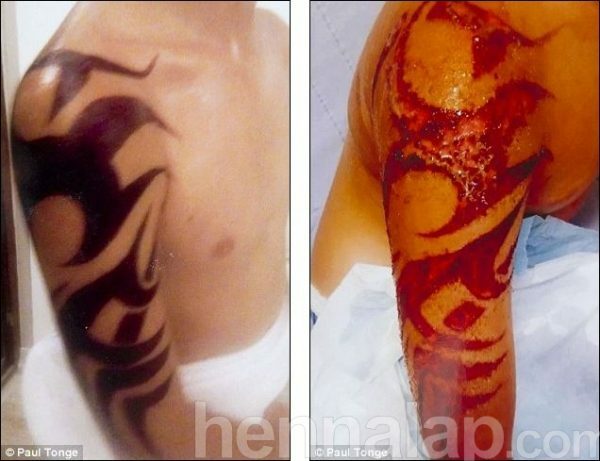 Thomas Cook admit they do not recommend their customers have henna tattoos at their hotels. 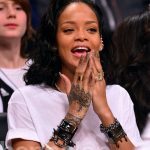 A spokesman said: ‘We know how important a holiday is to our customers, and are most concerned to learn of the negative reaction to a henna tattoo sustained by Master Abbot after his holiday in Turkey earlier this month.